The Boidae are a family of non-venomous snakes found in Northern, Central and South America, the Caribbean, southeastern Europe and Asia Minor, Northern, Central and East Africa, Madagascar and Reunion Island, the Arabian Peninsula, Central and southwestern Asia, India and Sri Lanka, the Moluccas and New Guinea through to Melanesia and Samoa. Relatively primitive snakes, adults are medium to large in size, with females usually larger than the males. Two subfamilies comprising eight genera and 43 species are currently recognized. Prey is killed by a process known as constriction with the prey eventually succumbing due to asphyxiation. Prey is swallowed whole, and may take anywhere from several days or even weeks to fully digest. Despite their intimidating size and power, they are generally not dangerous to humans. 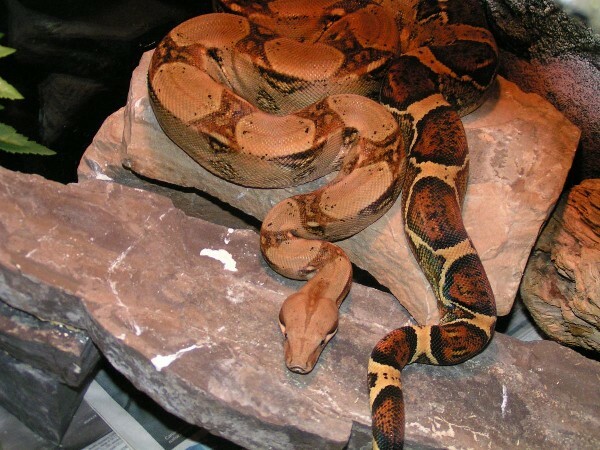 Here you may post messages or questions pertaining to all aspects and issues regarding the keeping, breeding, health, and conservation of all Boas. Don't forget to check out our other boa related forums.